2. Additional fee amount in excess of Rs.11,225/-(tution fee, special fee, university fee, PTA contribution, Bus fee etc. as applicable for merit seats) shall be remitted by the candidate in case of Govt. Controlled Self financing institutes at the time of admission. Fees to be paid at the time of admission. candidates who claim SEBC category. 6. Valid and original caste certificate for students in SC/ST quota. candidates who claim OEC category. 8. Nativity certificate as per prospectus for Non-GATE category. 10. TC from the institution last attended. Revised schedule for admission is published. Login into the portal and take printout of memo and remit the fee specified. College of Engineering Poonjar offers M.Tech Programmes in Computer & Information Science and Signal Processing. All the seats are filled by Director of Technical Education, Govt. of Kerala through Centralized Allotment Procedure. 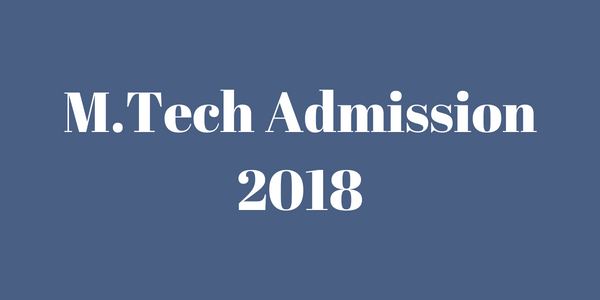 It is time for filing online application through the following portal for M.Tech admission. For eligible candidates seeking admission under sponsored category, please fill and submit the Application to the College.